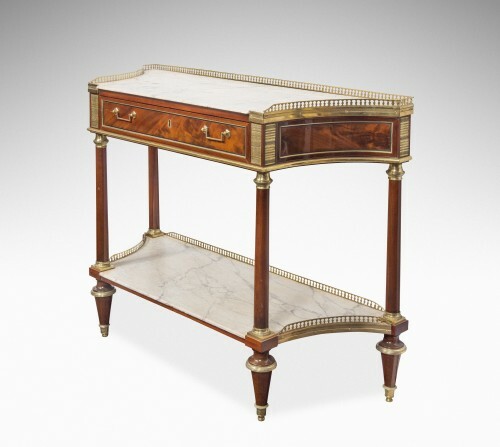 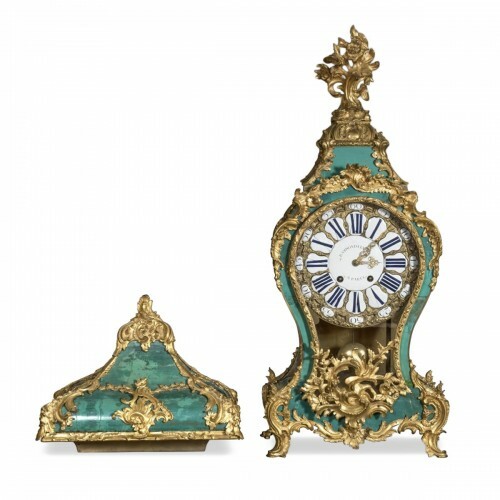 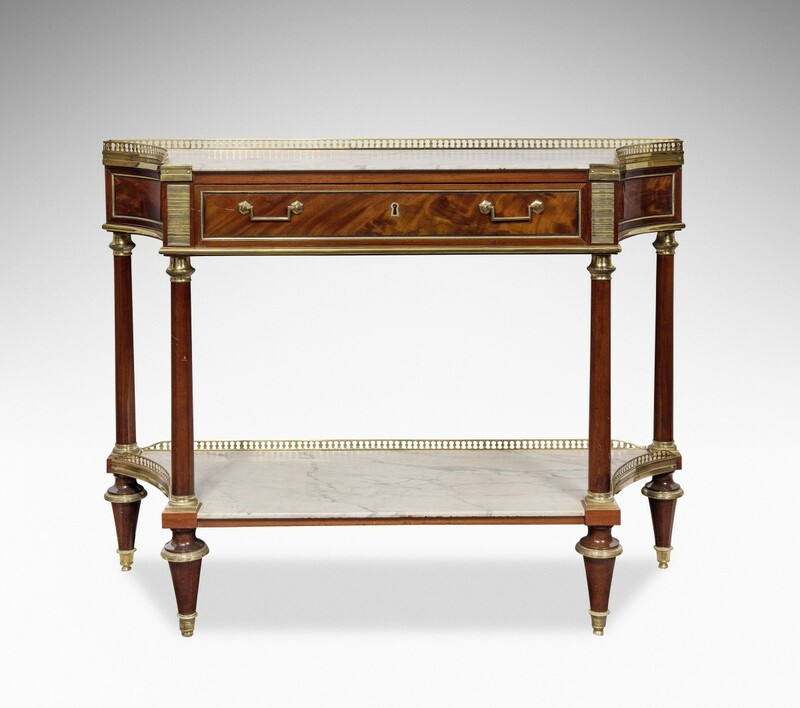 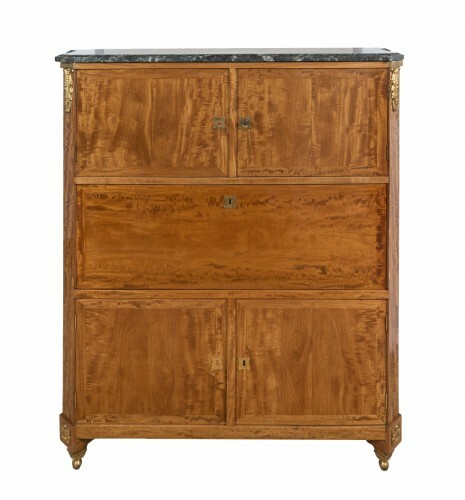 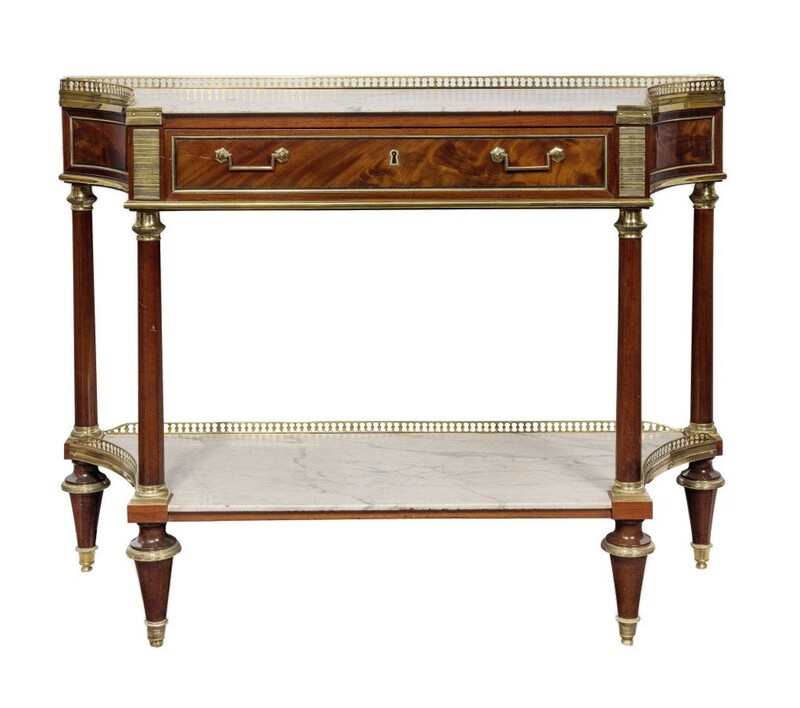 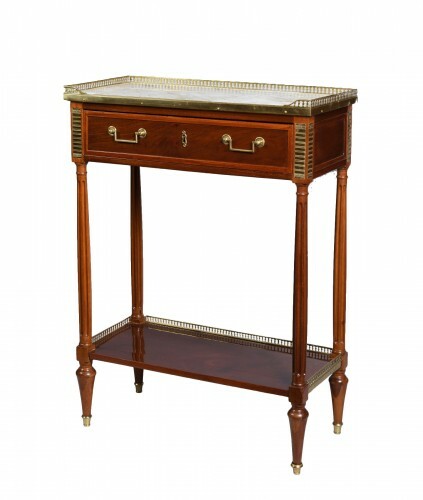 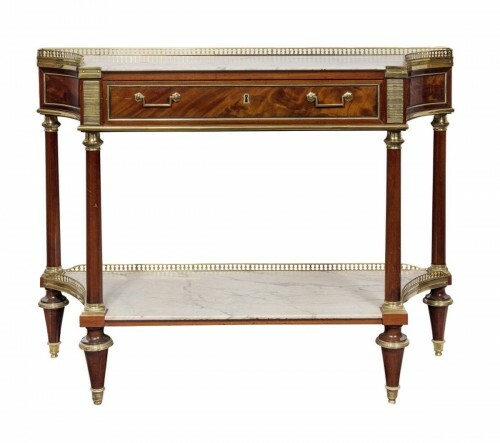 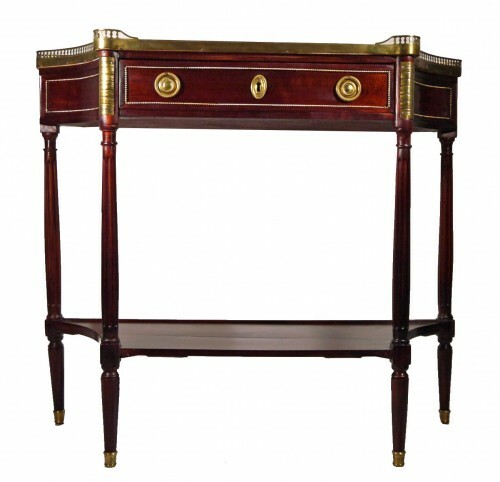 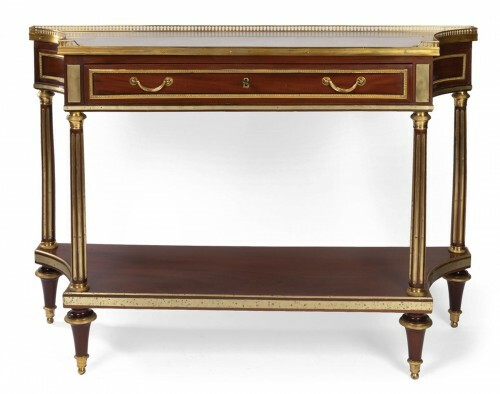 Serving console Louis XVI mahogany and mahogany veneer with brass ornamentation. 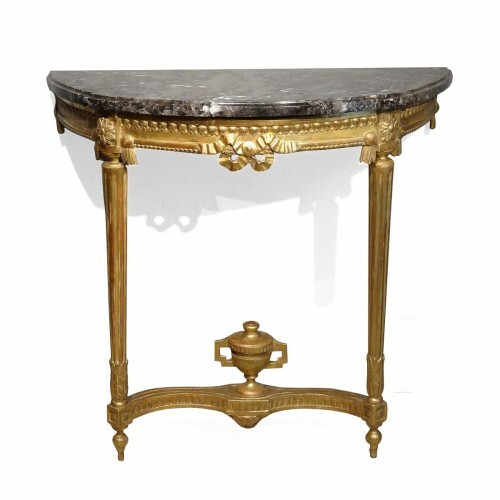 Its gray-veined white marble top is surrounded by an openwork brass gallery. 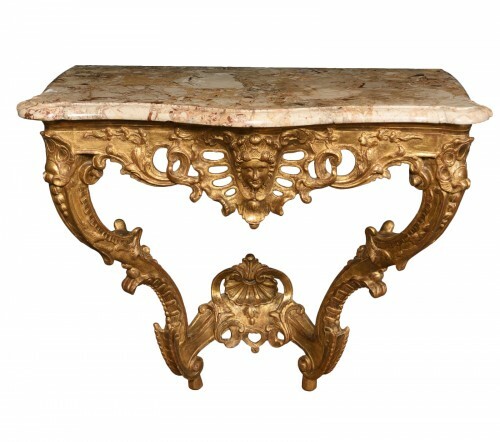 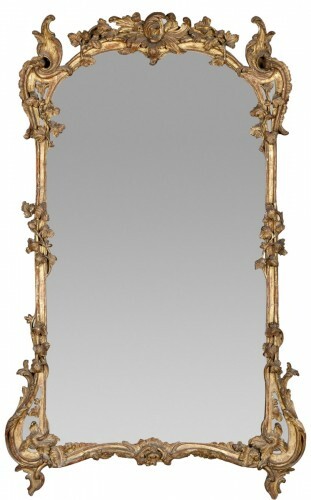 In the lower part, a crotch shelf is also covered with gray veined white marble surrounded by an openwork brass gallery. 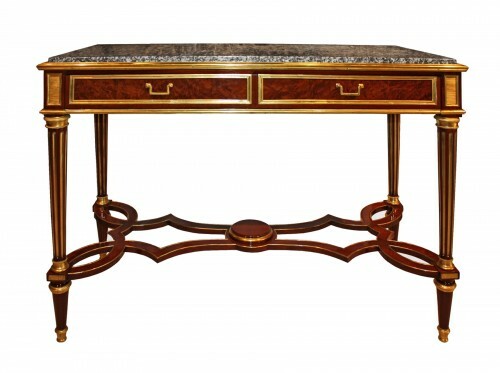 It opens with a drawer and rests on tops feet ringed bronze.